War Riders is the first MMO game of earning cryptocurrency and blowing up cars. Players can build their own war vehicles from scratch with customized logos and messaging. Use your vehicle to mine and attack enemies for Benzene. Become the most powerful and wealthy army by expanding your garage locations, buying better weapons, and killing for influence. Offer protection to other players and earn ETH. Pre order your vehicles now! Fill your tank, blow up your enemies and earn cryptocurrency. 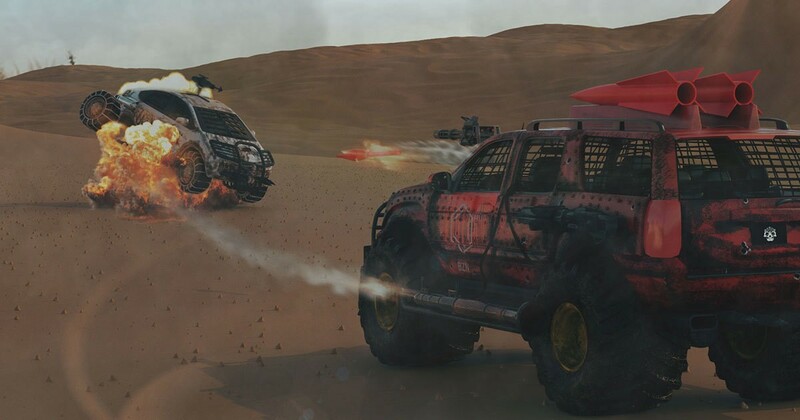 War Riders is a massively multiplayer online(MMO) strategy game where you blow up other players in a post-apocalyptic 3D environment and earn cryptocurrencies. Basically the game play is about driving around way points, raid other players and take their coins. These coins are in form of tokens called Bezene(BZN) based on Ethereum blockchain. The goal is to collect as much benzene as possible. The joy of a gamer is to have access to an interesting game where there exist interaction between players in one way or the other. Most children have passion for war games where you have to kill to become the last man standing. This is a crypto war game, first of it kind, named War Riders.